Samuel Young was the eldest son of Robert and Elizabeth Young. He was born in Tamlaght, Coagh on 17th September 1896. 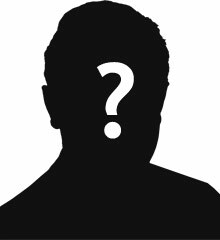 He was second oldest of seven children. By 1911 Samuel was working as a farm servant near Coagh for the Wilson family. Samuel enlisted in Omagh with the 9th Battalion of the Royal Inniskilling Fusiliers. Private Young had served with them for six or eight months and had survived the battle at the beginning of June. 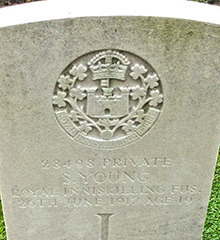 Private Samuel Young was serving with the 9th Battalion of the Royal Inniskilling Fusiliers when he was killed in action at Messines in Belgium on 26th June 1917.